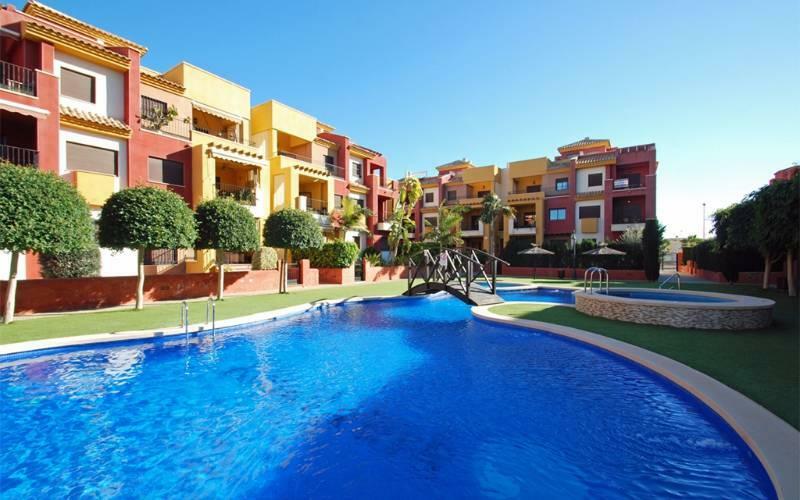 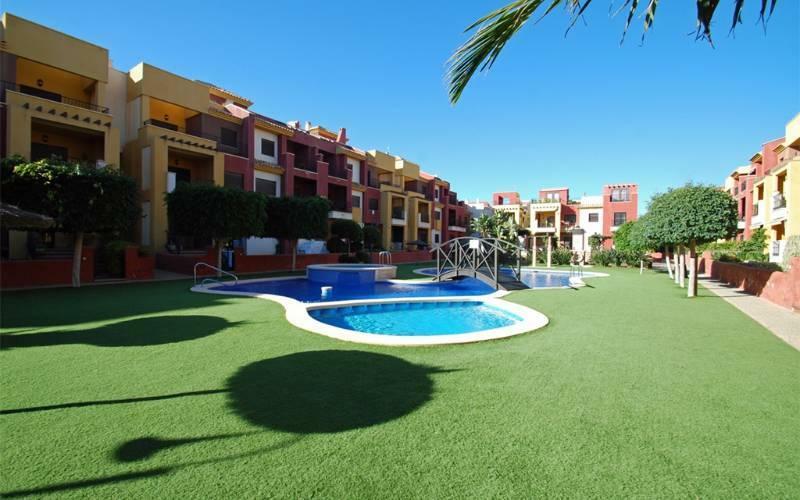 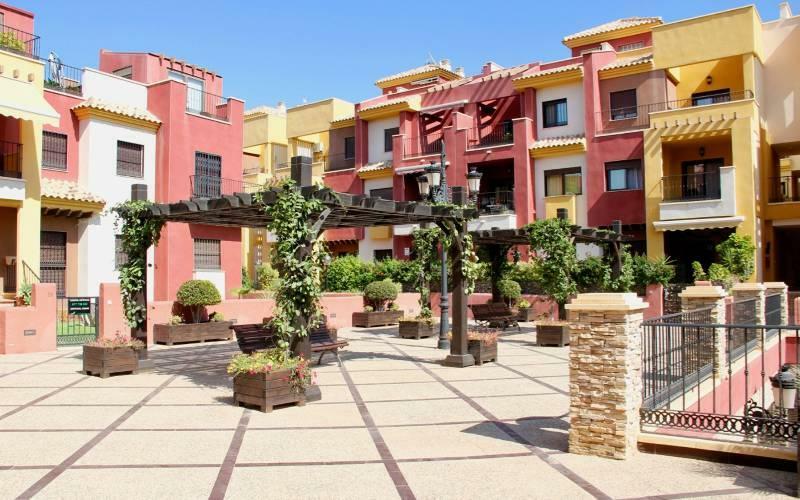 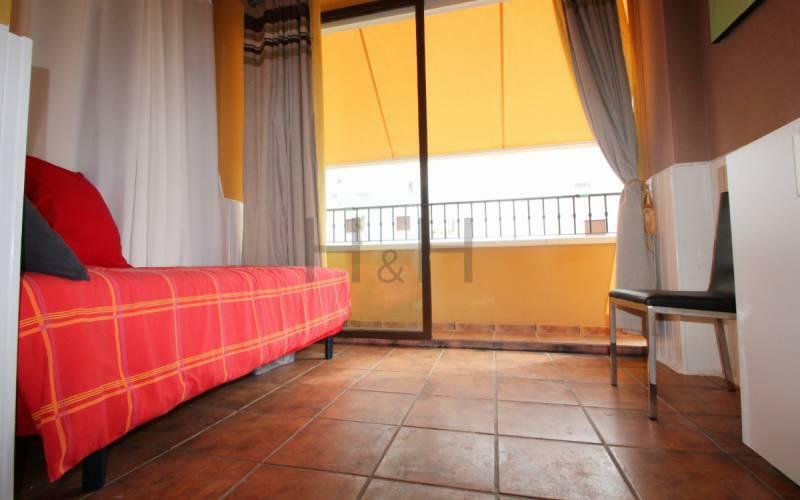 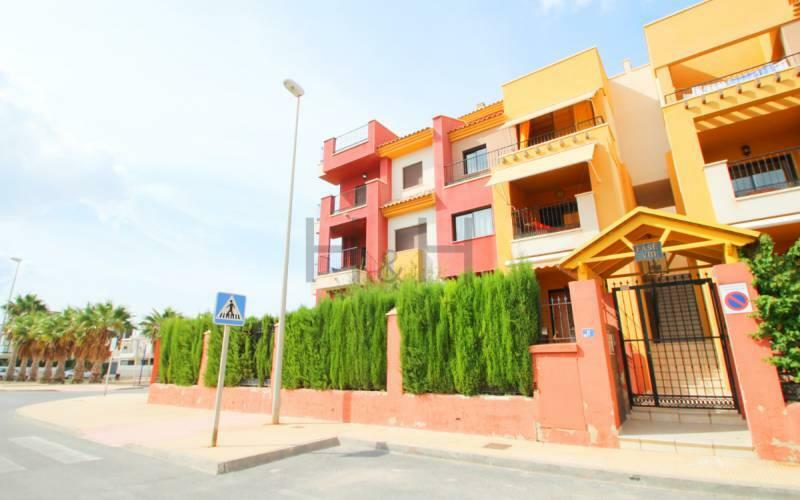 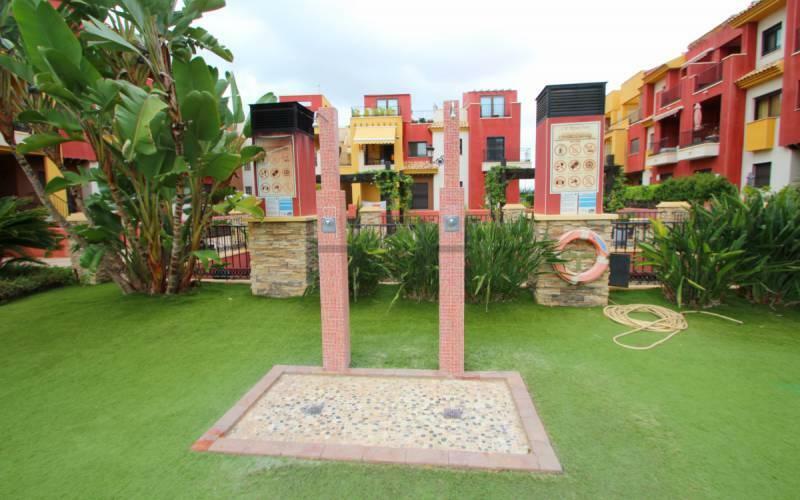 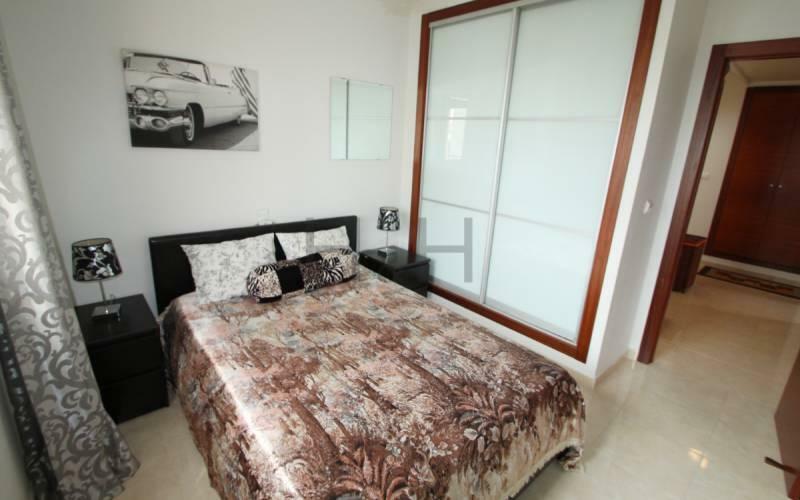 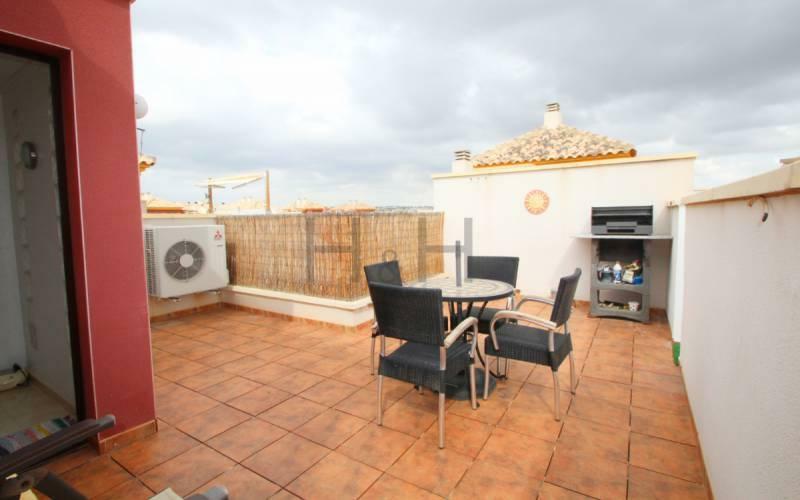 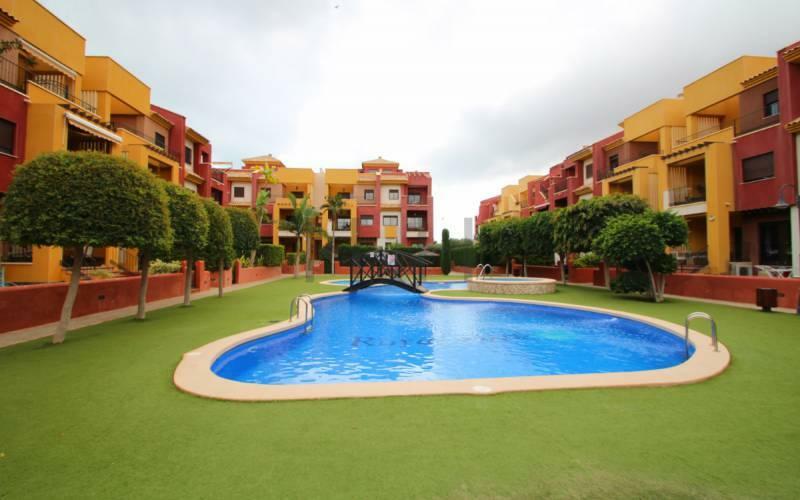 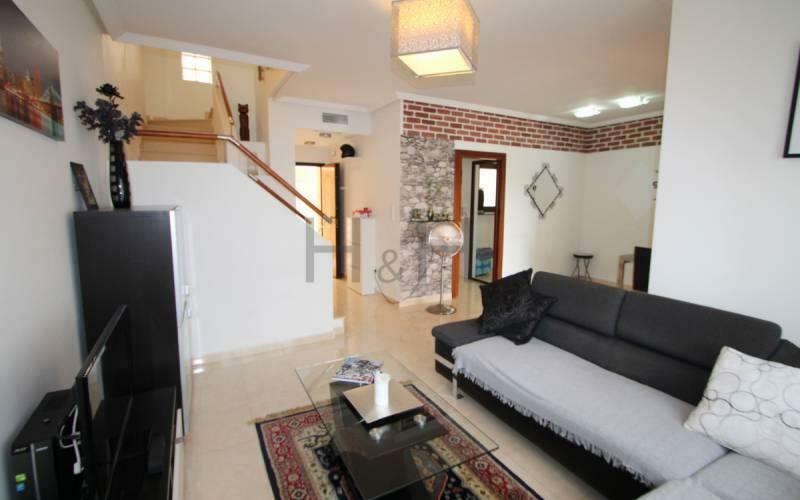 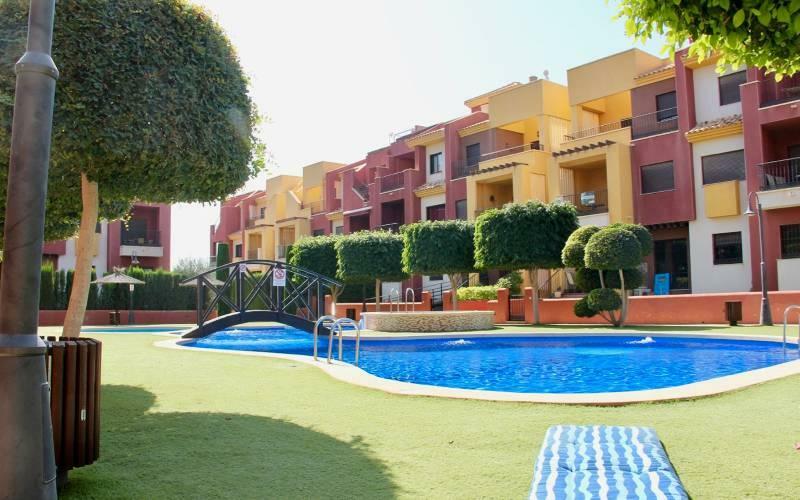 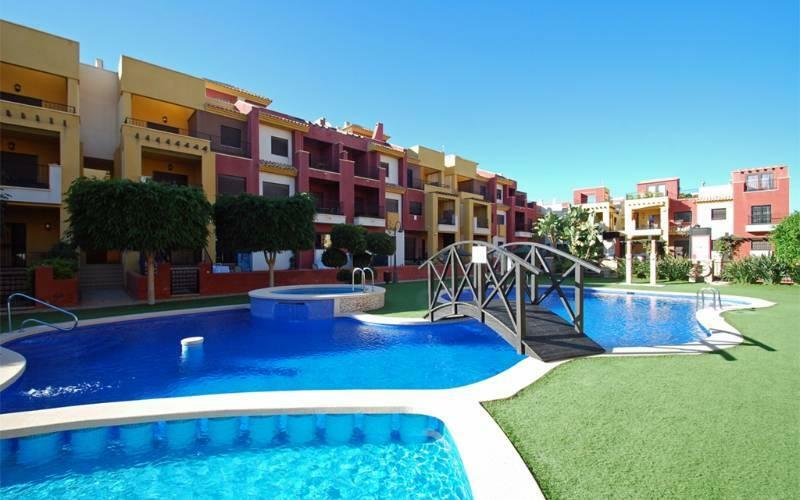 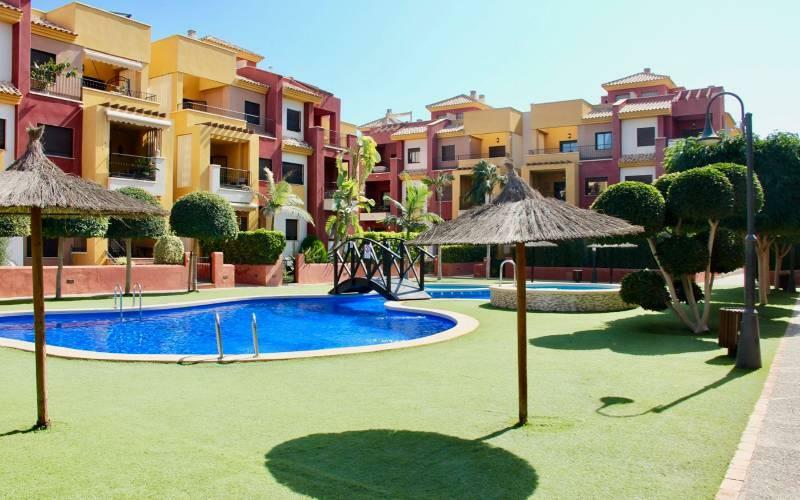 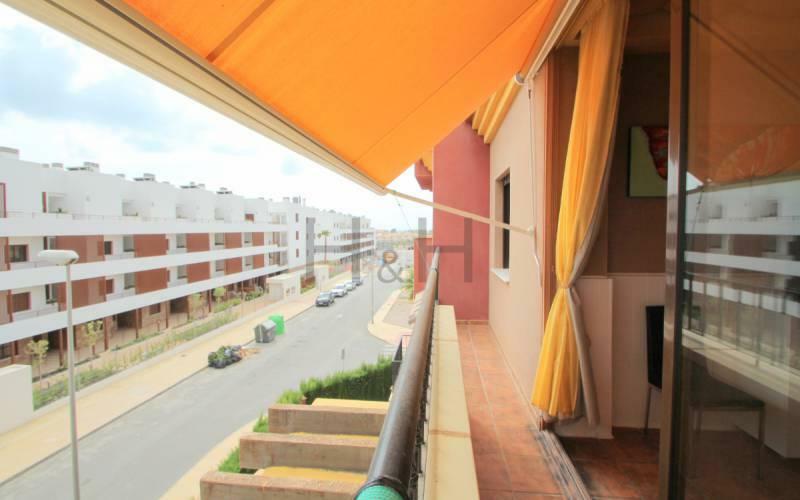 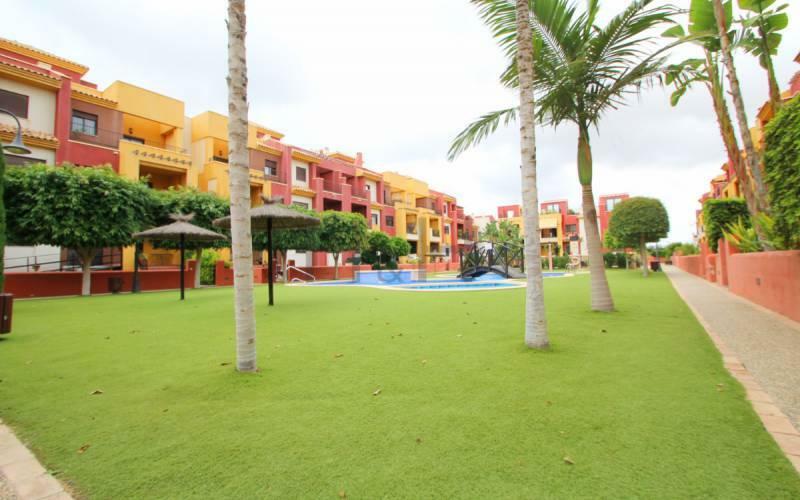 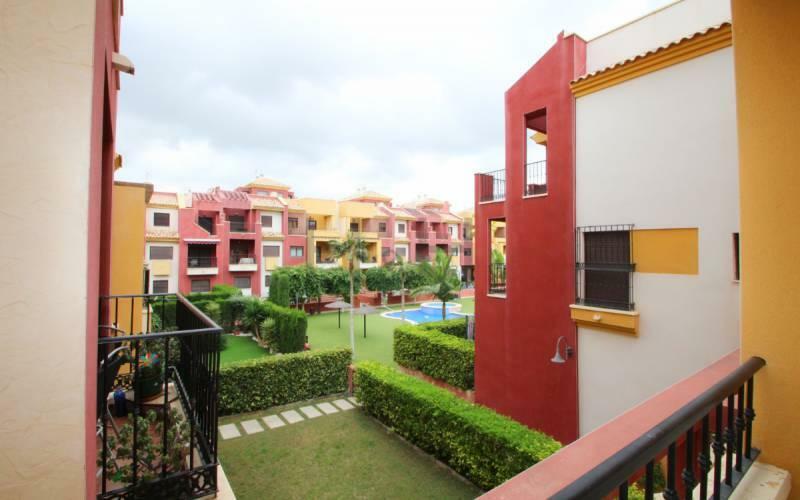 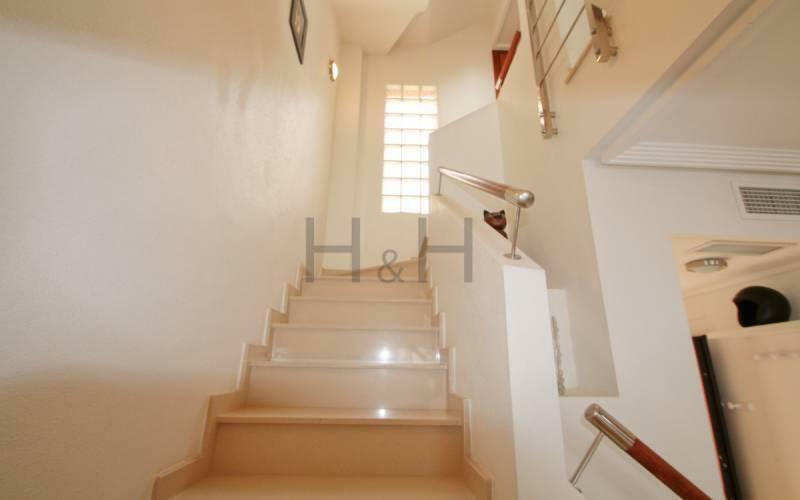 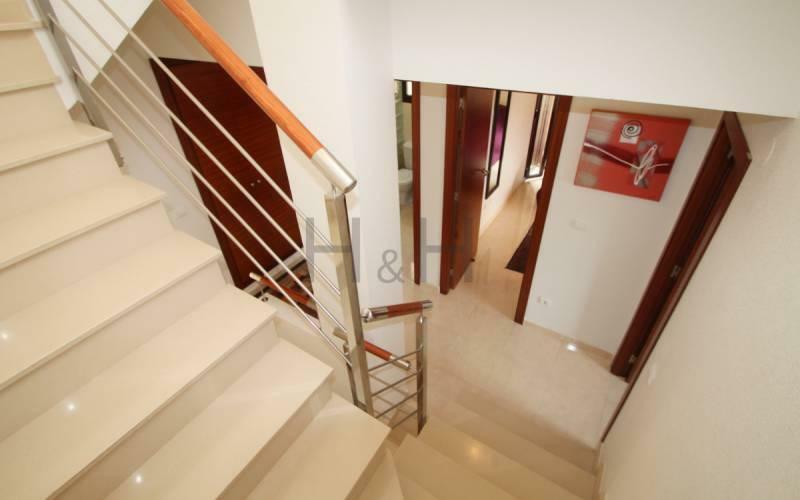 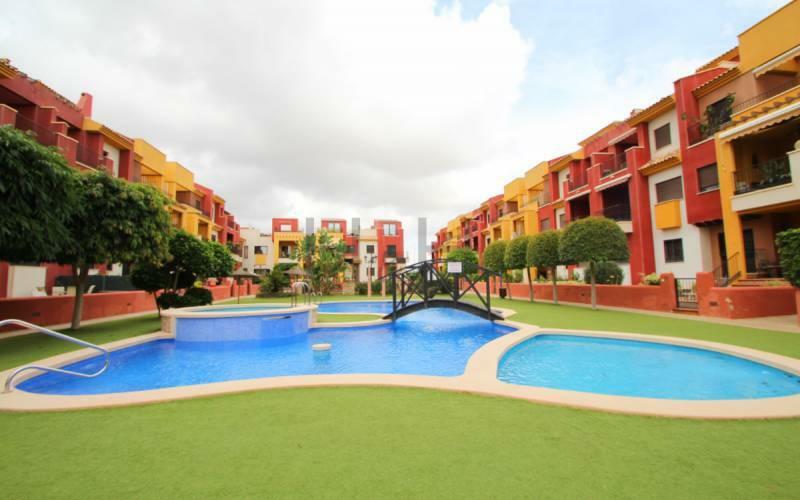 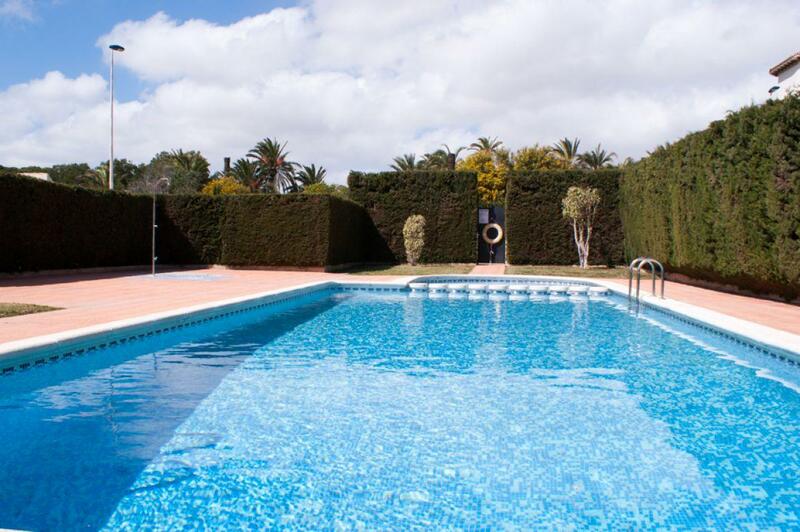 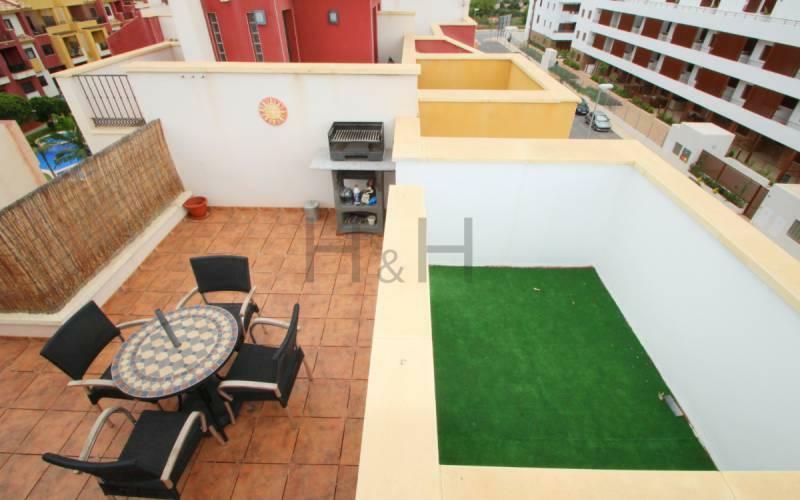 nice penthouse in the expansive area of lomas de cabo roig, close to the beaches of cabo roig and campoamor, as well as food stores, dining and the major shopping center of la zenia boulevard. 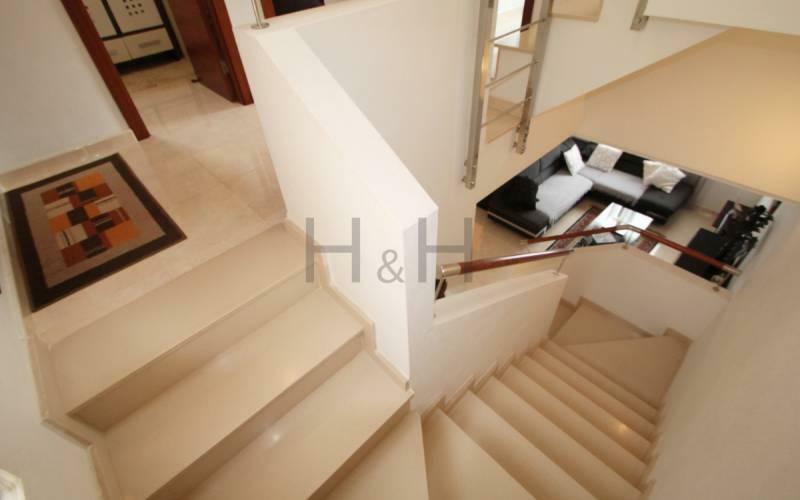 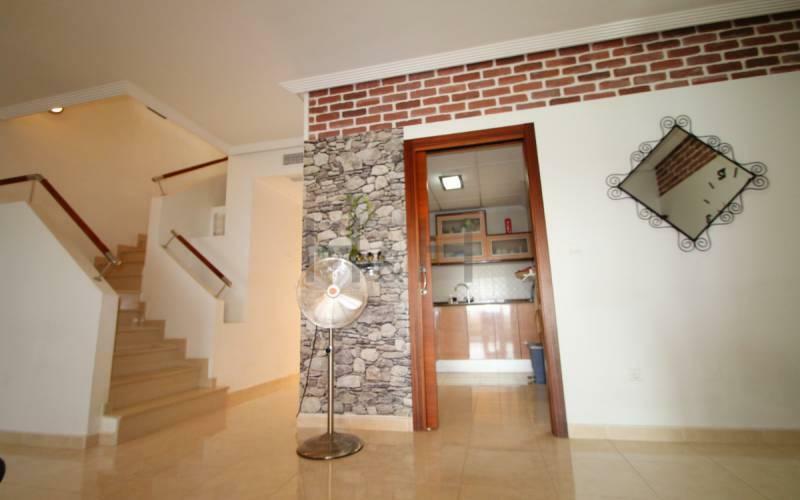 The floor plan consists of a large living room with a dining area, kitchen, toilet and a terrace on the entrance level. 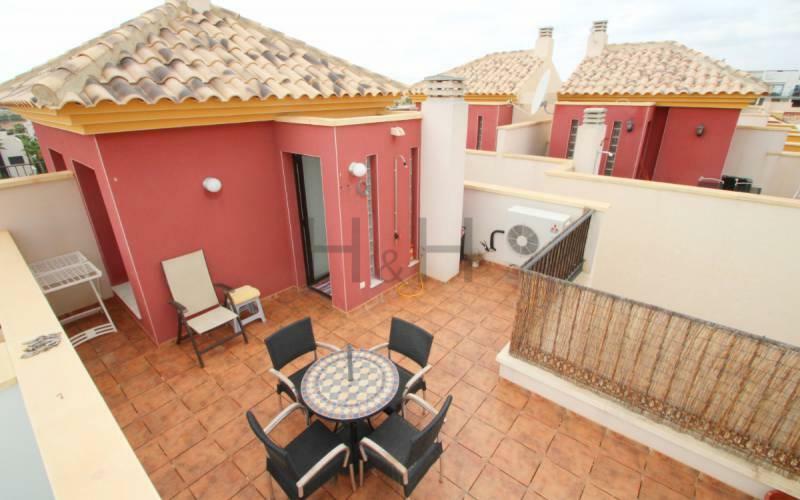 Upstairs there are two bedrooms, a bathroom and a terrace as well as a staircase up to the large rooftop terrace with sea views. 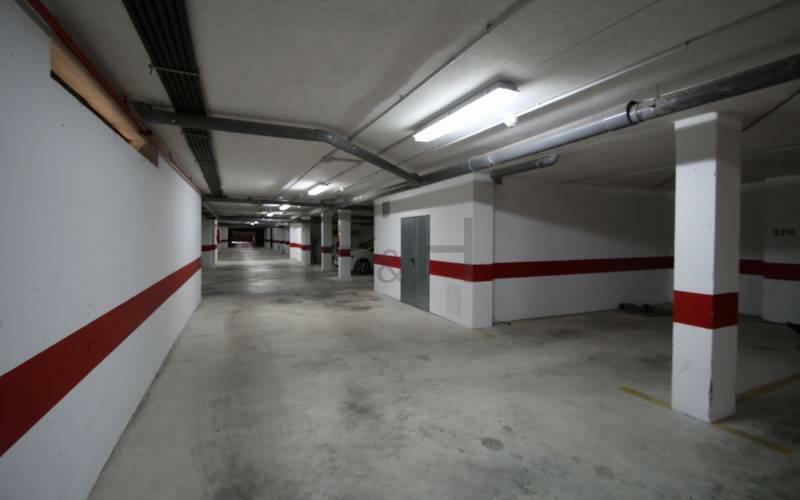 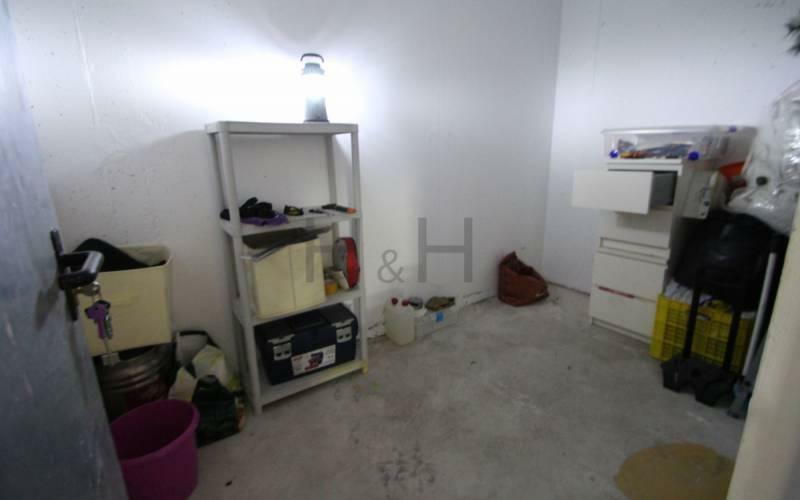 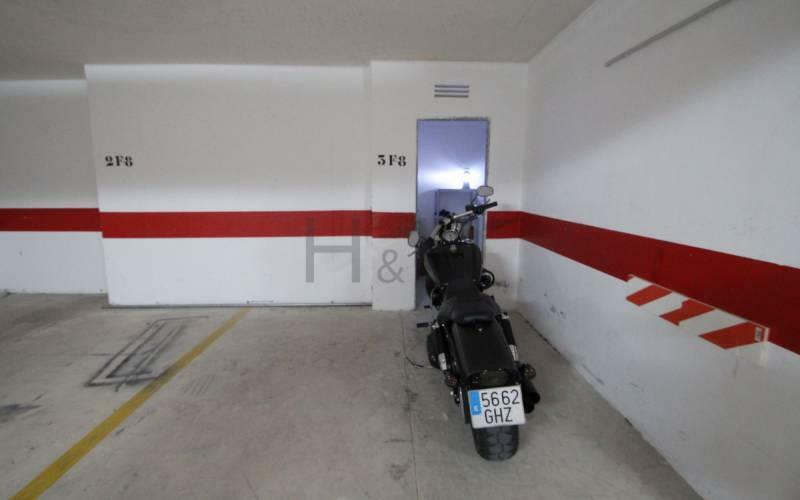 The apartment is a garage with storage space. 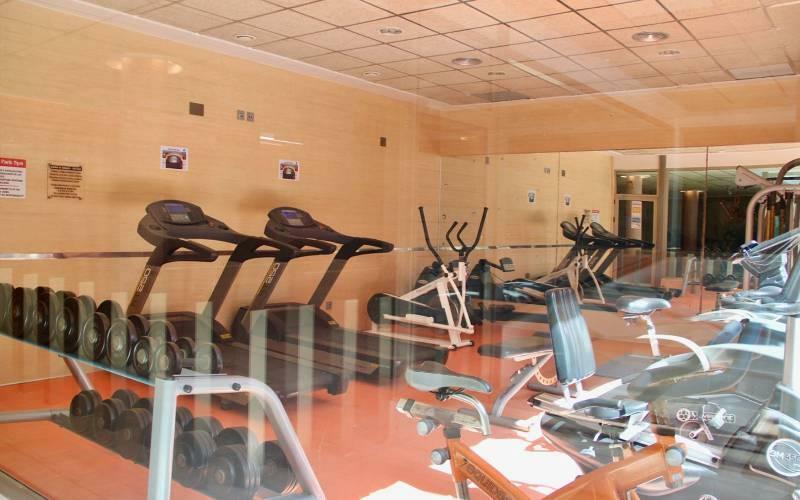 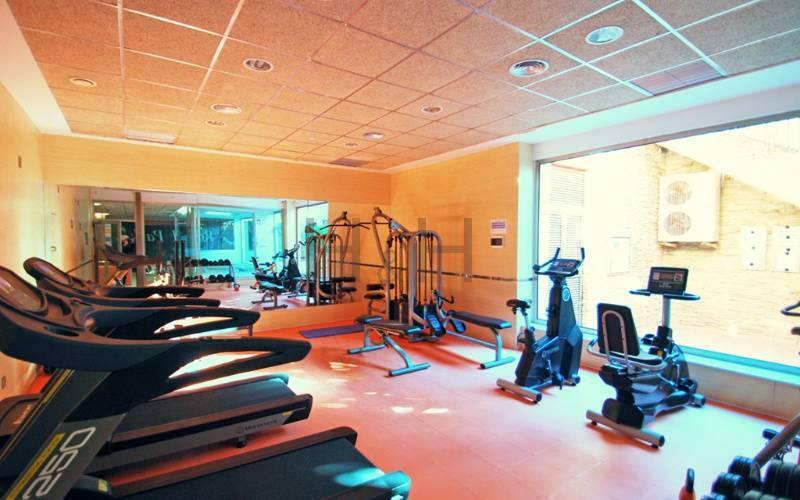 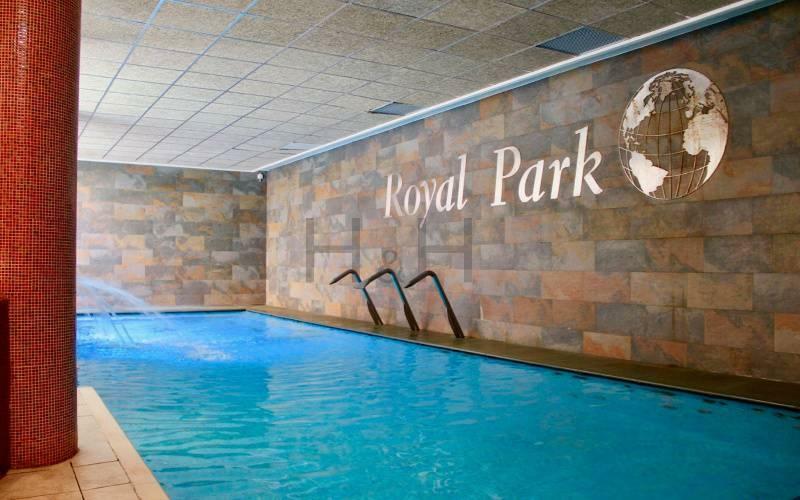 Royal park also has a nice pool facility with children's department, a spa department with pool, hydro massage chairs, steam sauna, turkish sauna and a well-equipped gym. 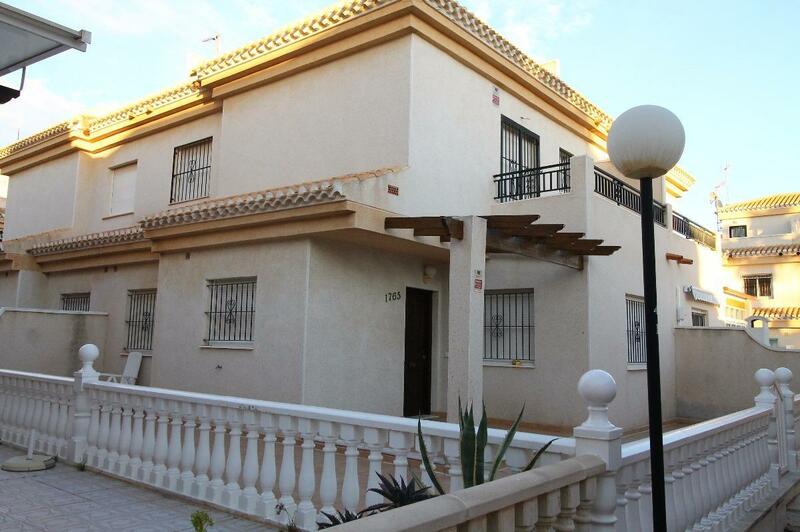 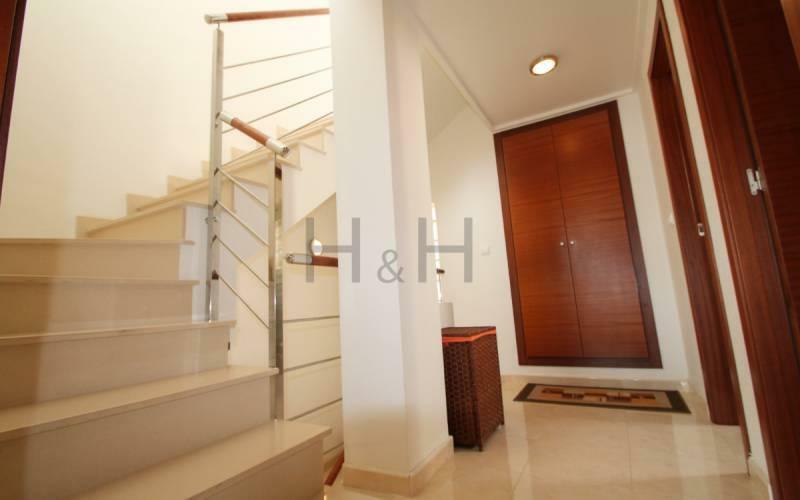 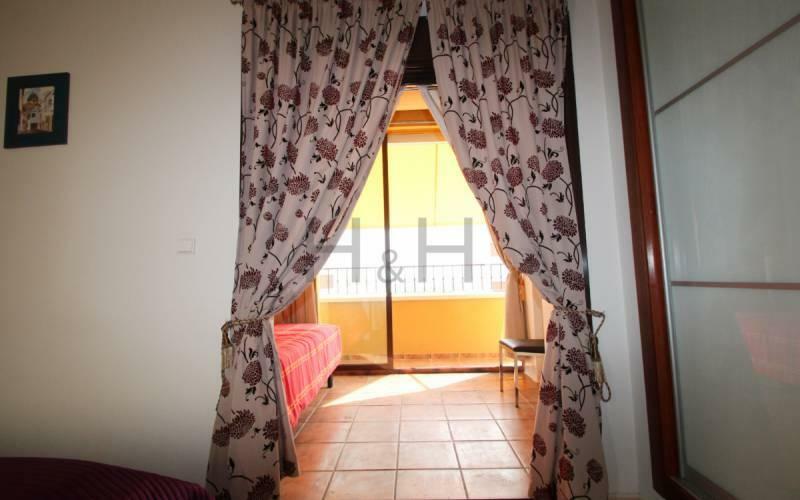 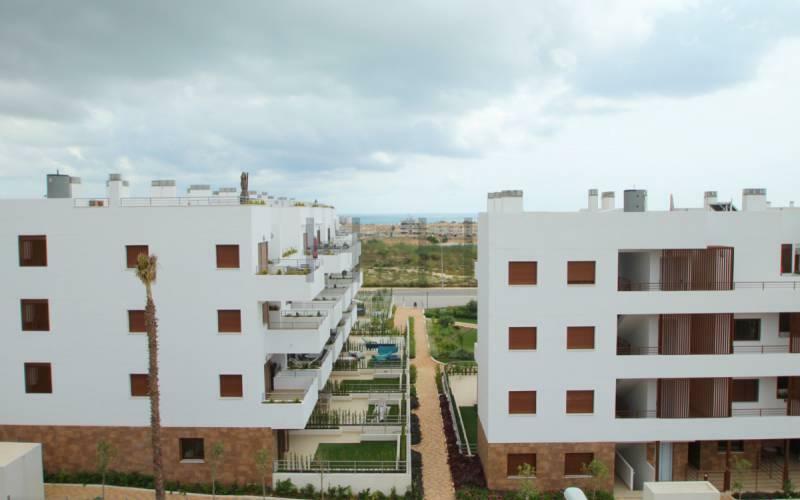 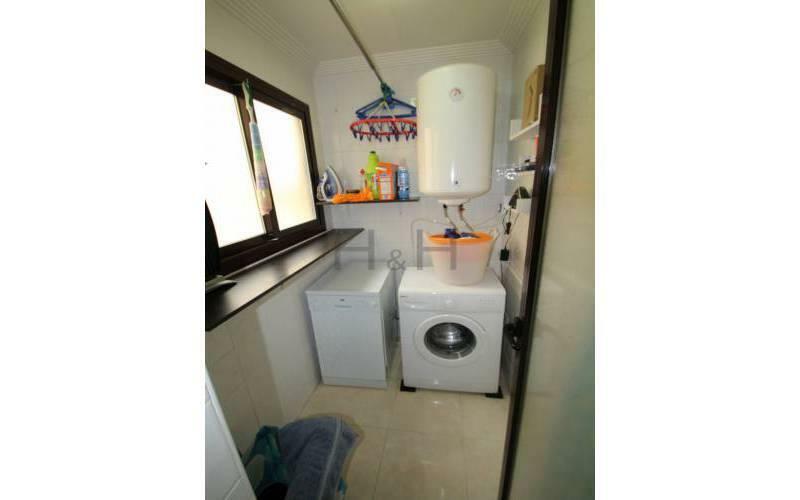 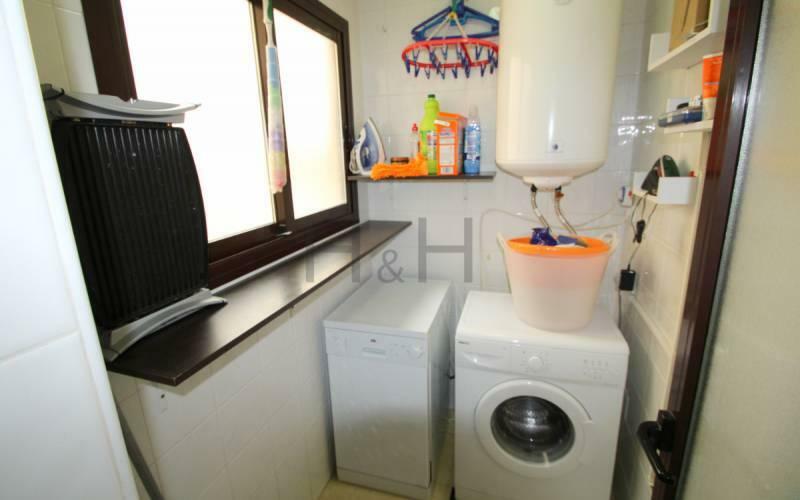 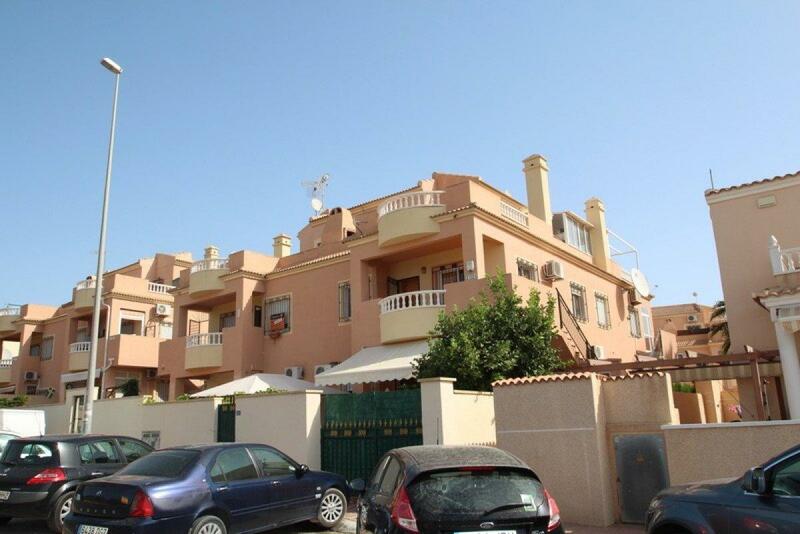 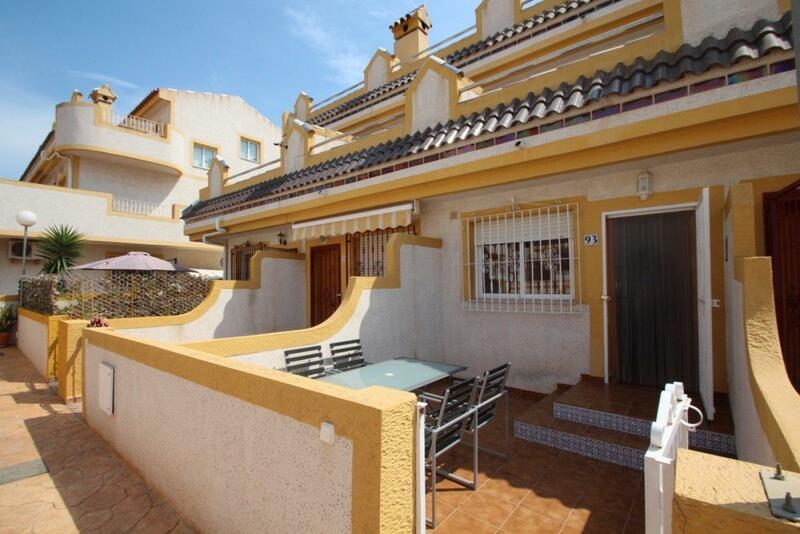 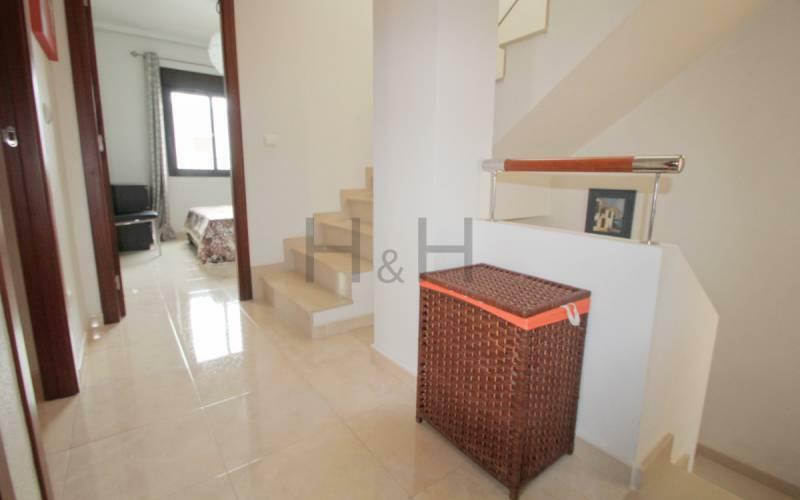 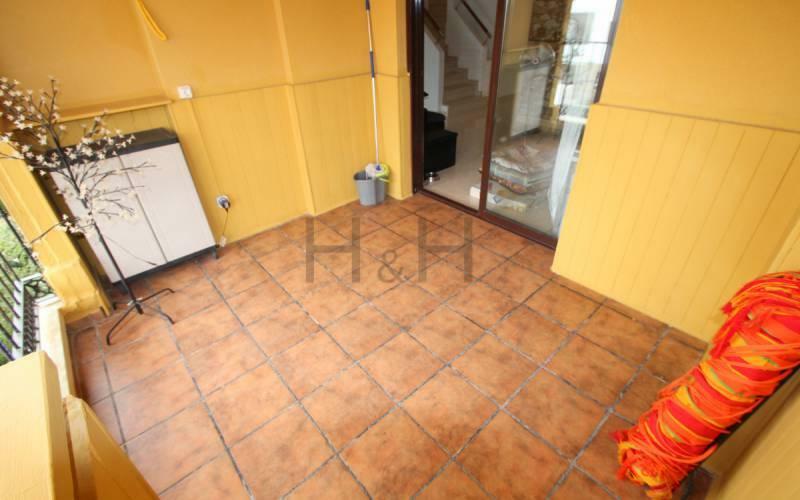 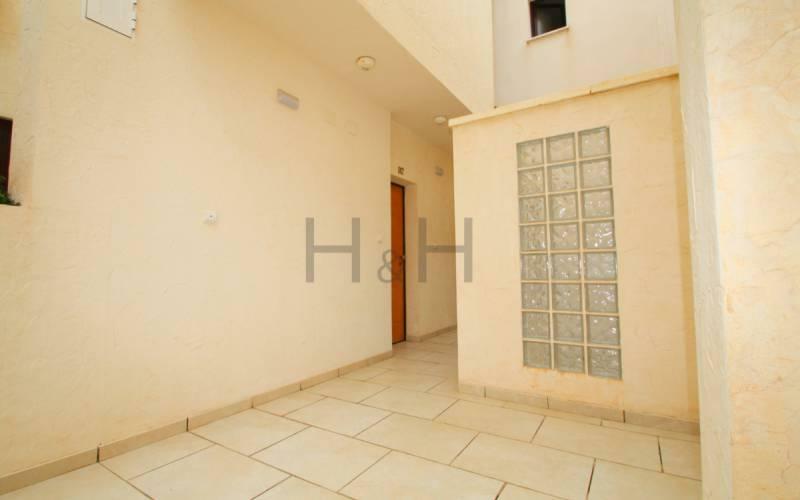 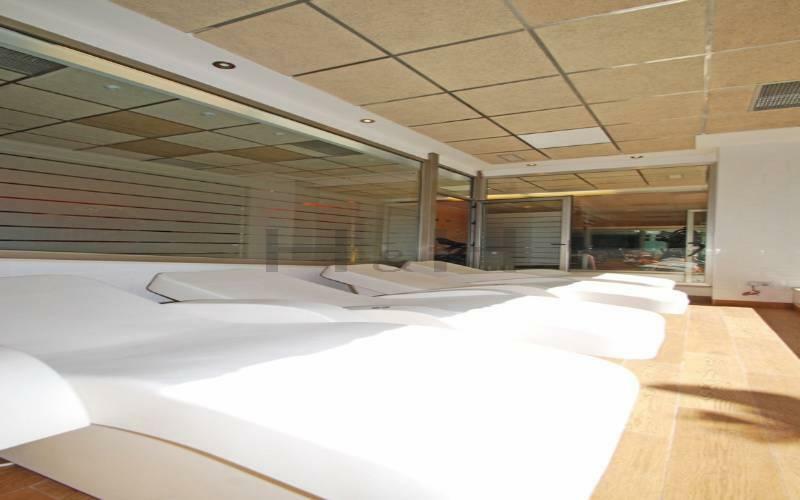 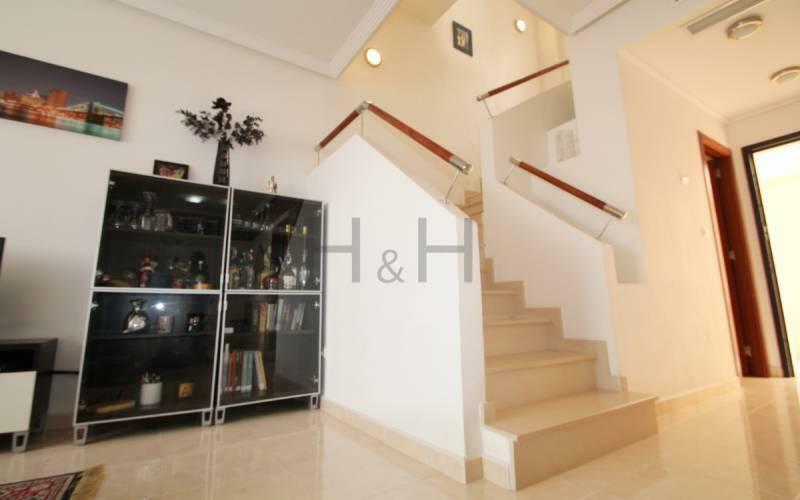 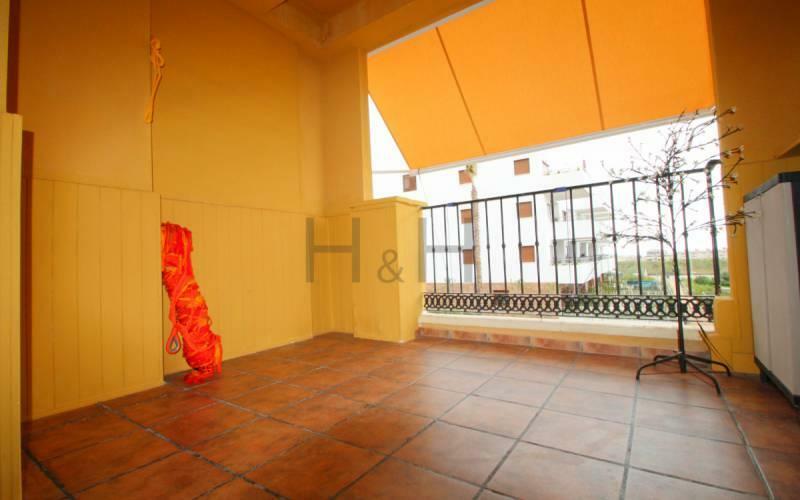 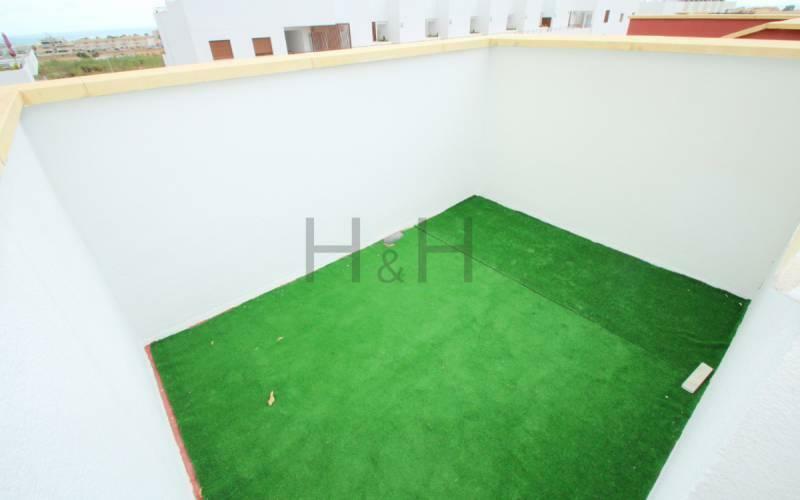 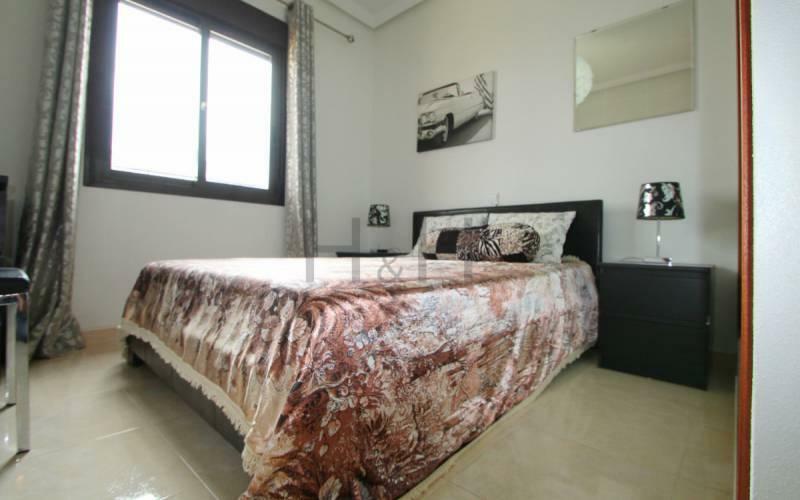 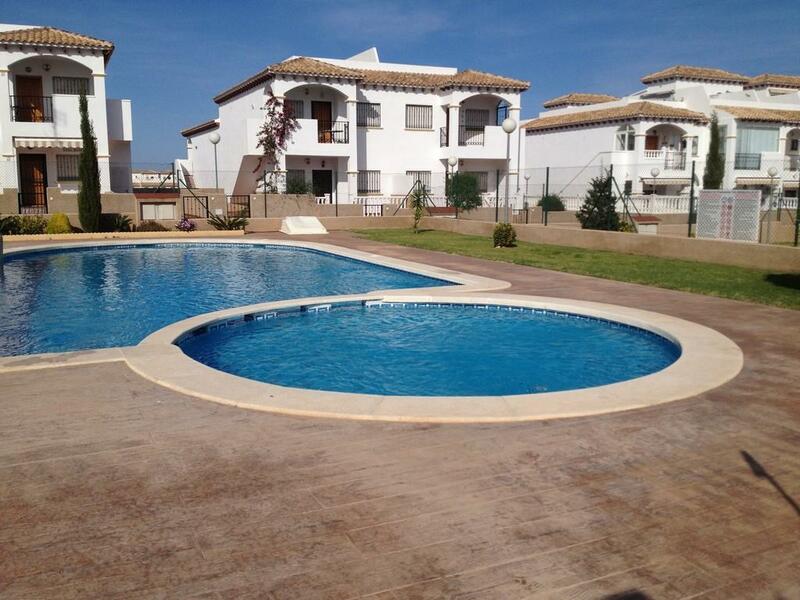 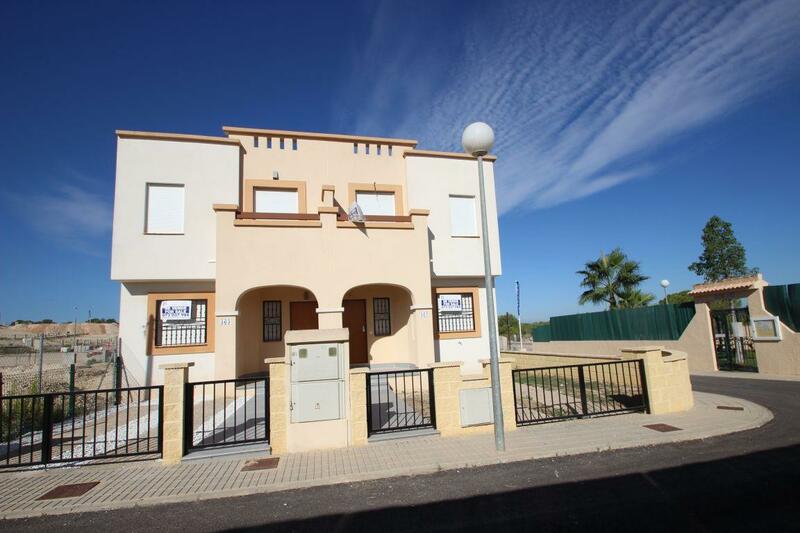 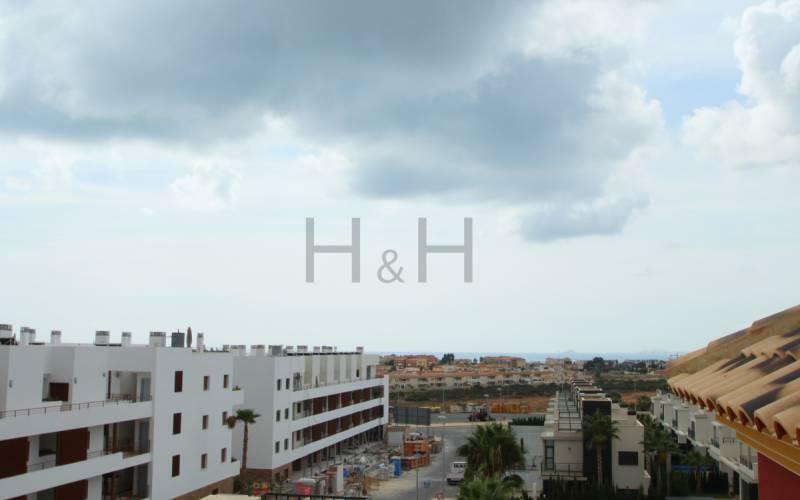 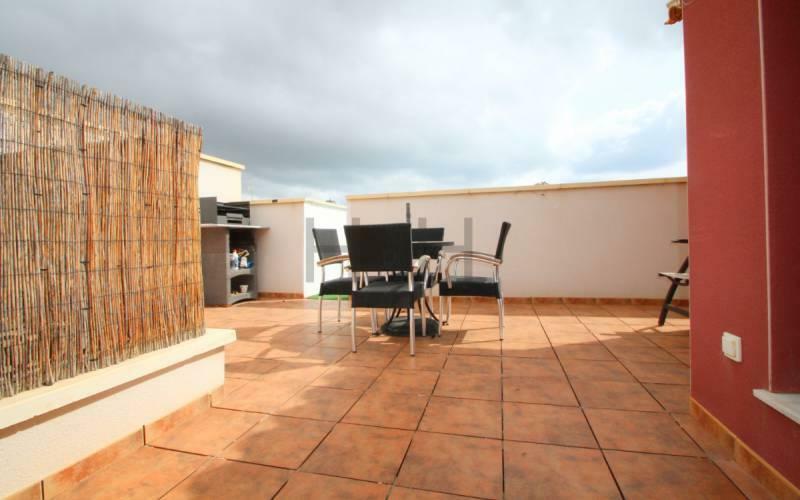 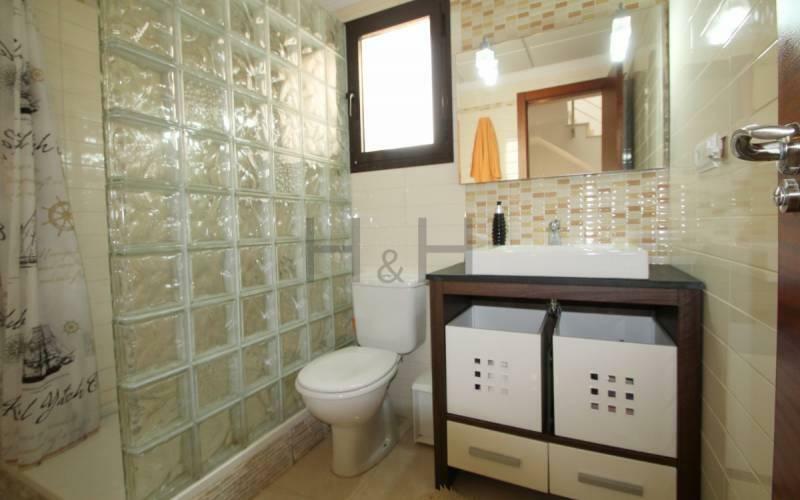 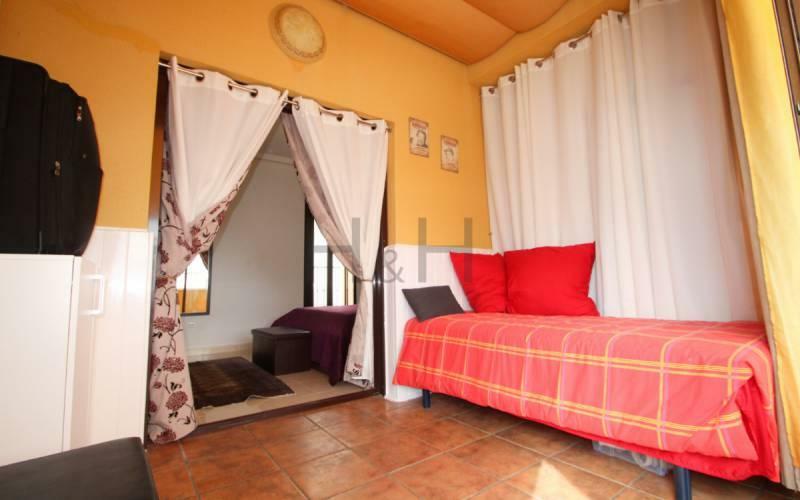 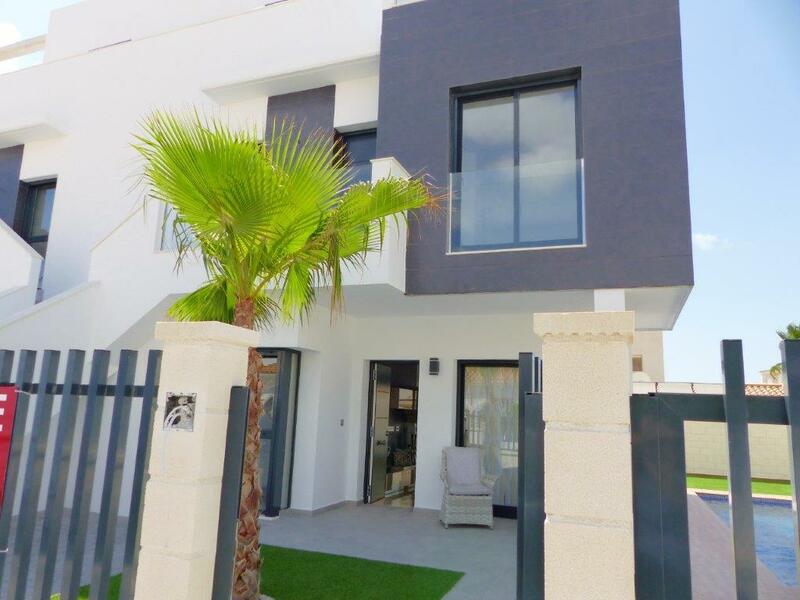 Details:reference: hh-208area: lomas del cabo roig, orihuela costabased: 2006direction: eastliving area: 80 sqmroof terrace: 25 sqmbalcony 1: 8 sqmbalcony 2: 10 sqmtax: 278 €association fee: 95 € / month. 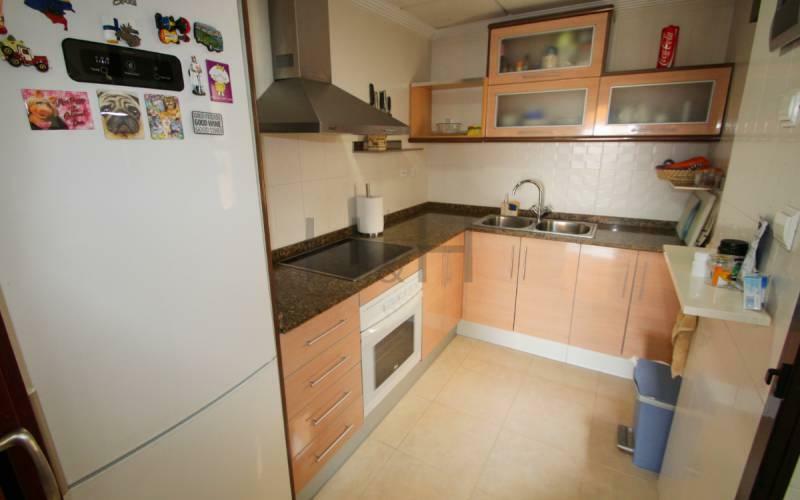 Visítanos en todopisosalicante.